Exceptional five bedroom, spacious layout in a larger BC Village Townhome noted for its outstanding ski-in/ski-out location. Beautiful cherry wood cabinetry and bookshelves are located throughout the residence and the open kitchen is great for family gatherings. Steps from Strawberry Park and Centennial Lifts. 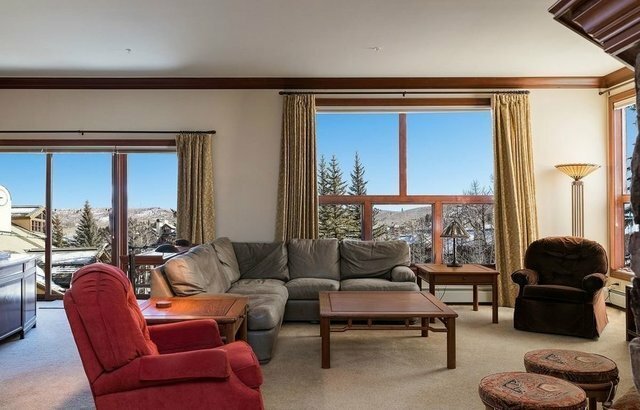 Extensive windows take in inspiring mountain views. Two-car garage.Use of Osprey pool and fitness center included. Relax to the restful sounds of the nearby mountain stream of Beaver Creek!